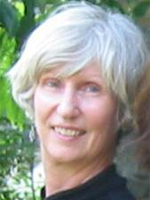 Elizabeth Fisher, Professor of Classics and former chair of the department, teaches courses on Greek and Latin language, literature, and culture and specializes in the survival, reception, and reinterpretation of classical literature through translation and imitation, especially in the medieval Greek literary tradition of Byzantium. She has presented papers and published articles on this topic in the U.S. and Europe and has herself translated the "Life of the Patriarch Nikephoros" in Defenders of the Images (Dumbarton Oaks 1998). She has also published the Greek text of orations on holy subjects by the 11th-century Byzantine polymath Michael Psellos and written an original mock-epic starring a wandering parrot ("Epic Parrot/ Parrot Epic: The Parrodyssey," Classical Outlook 1988). Recipient of the BA in Classics from Northwestern University and the MA and PhD in Classical Philology from Harvard University, she has been awarded fellowships at The Center for Hellenic Studies and Dumbarton Oaks Center for Byzantine Studies.